Blank BIO CR80 cards are cards ready for you to print on and laminate. These cards are completely made from recycled materials which is great for spreading a green message and shrinking your carbon footprint. This listing is for sleeves of 50. 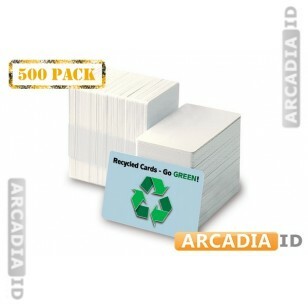 For our other amazing ID card materials at amazing prices be sure to take a look around the rest of the site.